FDA’s treatment of fruit illustrates what scientific censorship looks like. Action Alert! The FDA is currently considering a petition from Ocean Spray, the juice company, to allow a qualified health claim that cranberries can reduce the risk of recurrent urinary tract infections (UTIs) in healthy women. Given the way the FDA protects Big Pharma’s monopoly over medicine and elbows out cheap, safe, and effective natural medicines—especially in gagging free speech about the health benefits of these products—consumers must speak up so that justice—and health—are served. 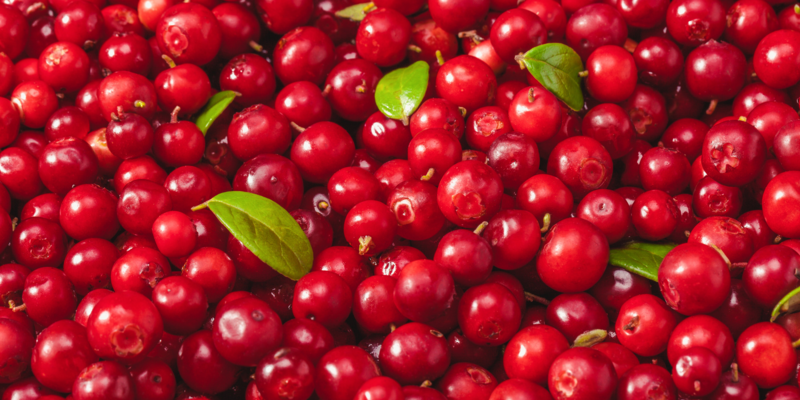 Ocean Spray’s petition points to several randomized clinical trials (RCTs)—what the FDA considers the “gold standard” of scientific evidence—that support their claim that cranberry products can help with UTIs. Recall that the FTC—most likely at the behest of the FDA—tried to stop POM Wonderful from making claims about its pomegranate juice unless it had two RCTs to back them up. Ocean Spray’s petition indicates three RCTs that support their claim. A qualified health claim is a claim that communicates a relationship between a substance and a disease or health condition. These claims must be accompanied by a disclaimer or qualifying language to accurately covey to the consumer the level of scientific evidence supporting the claim. By definition, qualified health claims do not need to meet the same scientific standard as traditional health claims, which require “significant scientific agreement” that the claim is truthful and not misleading. The bar for a qualified health claim is lower to reflect that the science is not as conclusive as full-scale drug trials (which themselves are often far from conclusive). A notable example is the qualified health claim for folate supplements and their role in preventing neural tube defects in infants, as well as omega-3 fatty acids reducing the risk of heart disease. With not one, not two, but three RCTs behind their claim, one would think that Ocean Spray would have no trouble meeting the evidentiary bar for a qualified health claim. Yet we’ve seen how this scenario can play out. The FDA previously blocked walnut and cherry growers from telling consumers about the health benefits of those foods, because only FDA-approved drugs can claim to “prevent, treat, cure, or mitigate a disease.” Diamond Foods, a walnut company, listed some of the health benefits of walnuts on their site, backed up by scientific studies—yet the FDA ignored the science and sent them a warning letter charging that this information turned walnuts into unapproved drugs. The FDA also swooped in on cherry growers even though no health claims were being made—cherry companies dared to link to some of the scientifically-supported health benefits of these foods from their websites. For example, when cherry companies linked to peer-reviewed research that showed tart cherries may help with gout, arthritis, and inflammation, the FDA sent warning letters threatening regulatory action if they did not remove the link from their websites. Telling the truth about the benefits of tart cherries and walnuts, in the FDA’s twisted thinking, turned those foods into misbranded, and therefore illegal, drugs subject to raids, seizures, and criminal prosecution. Some companies were even forced to sign consent decrees, violation of which came with stiff financial penalties–$1,000 per violation per day, in addition to paying the cost of FDA inspections, including gas mileage and nearly $100 an hour for each FDA employee involved. Qualified health claims were established by the landmark decision of Pearson v. Shalala, of which ANH was a co-plaintiff. Qualified health claims are critical in communicating important health benefits of natural foods and dietary supplements otherwise forbidden by the FDA. Unfortunately, the FDA has consistently limited the information available to consumers about the real health benefits of food and supplements and routinely rejects qualified health claims: what qualified health claims do exist have been won largely through legal challenges to the FDA on the part of ANH-USA and allies in the natural health community. In fact, qualified health claims for folate/neural tube defects, B-vitamins/vascular disease, omega-3’s/heart disease, vitamin C/gastric cancer, vitamin E/bladder cancer, and selenium/prostate, colon, bladder, and thyroid cancer, were all the result of court victories over the FDA of which ANH-USA was a plaintiff. Even if there is some disagreement about the evidence supporting Ocean Spray’s claim, the very nature of a qualified health claim is that it is “qualified” to communicate to consumers that the product is not a drug, but that there is strong evidence that it can help with a particular condition. Denying consumers this knowledge serves no one but the drug industry. We must not let the FDA once again prevent free speech about the benefits of natural foods. Denying legal qualified health claims is yet another way that the federal government protects Big Pharma’s monopoly over medicine and reduces access to cheap, safe, and effective natural medicines. If consumers aren’t allowed to learn of the benefits of healthy foods and supplements, these products cannot compete with pharmaceutical drugs—which is just the way the FDA wants it. We can’t let them get away with it. Action Alert! Write to the FDA and tell them to grant Ocean Spray’s petition for a qualified health claim on cranberry juice. Please send your message immediately.